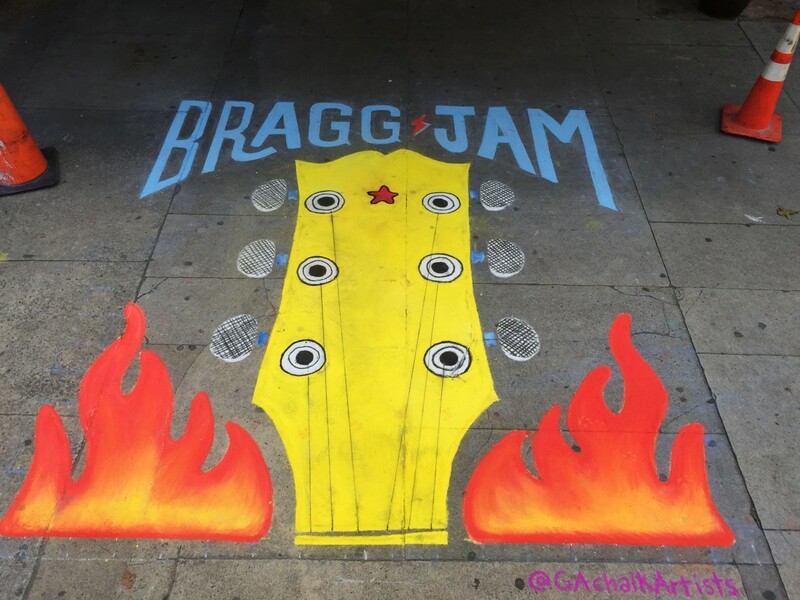 Every summer on the last Saturday in July, Macon, GA hosts the Bragg Jam a music festival. 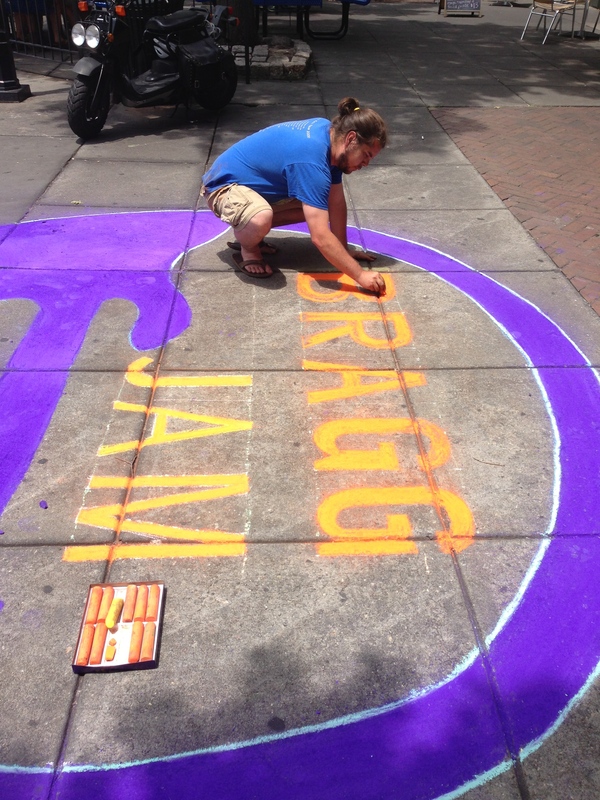 Chalkers Jessi and Zach go every year to support the music and arts by chalking either in front of a venue or at the Children’s Festival held earlier in the day on Saturday. 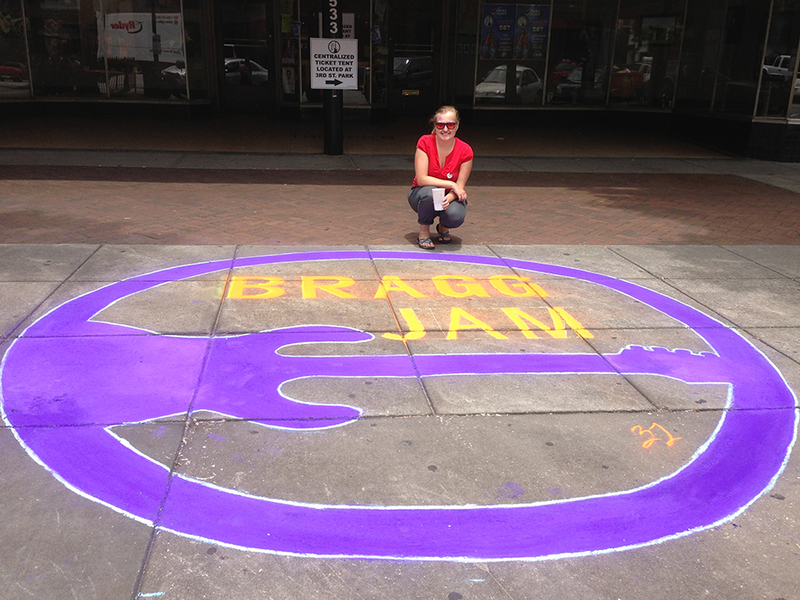 Many of the bands that play at Bragg Jam are up and coming. 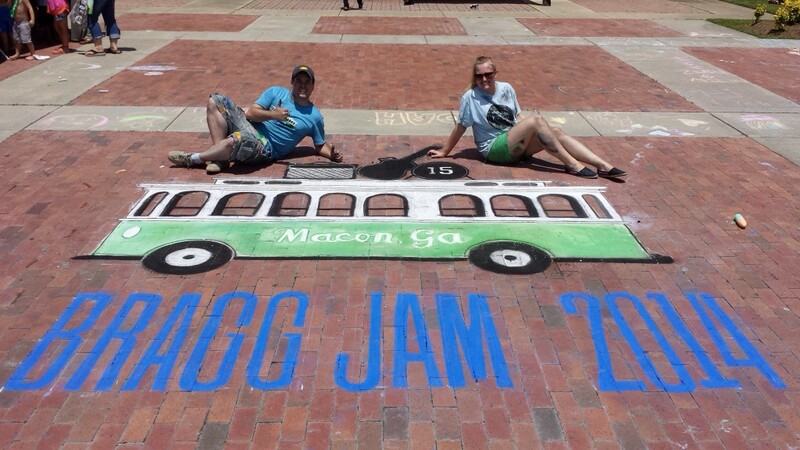 Jessi and Zach have chalked at it for the past four years and two years ago, Jessi even made the new logo for it. 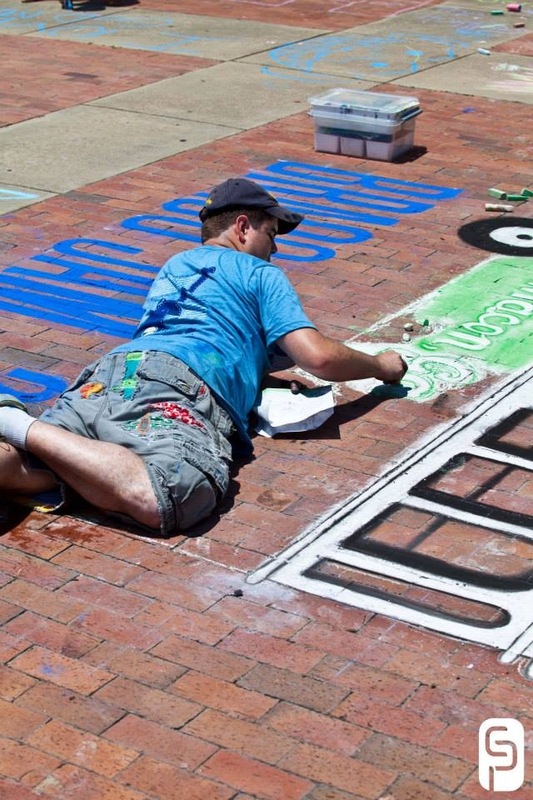 Zach working on the letters on the side of the trolley. 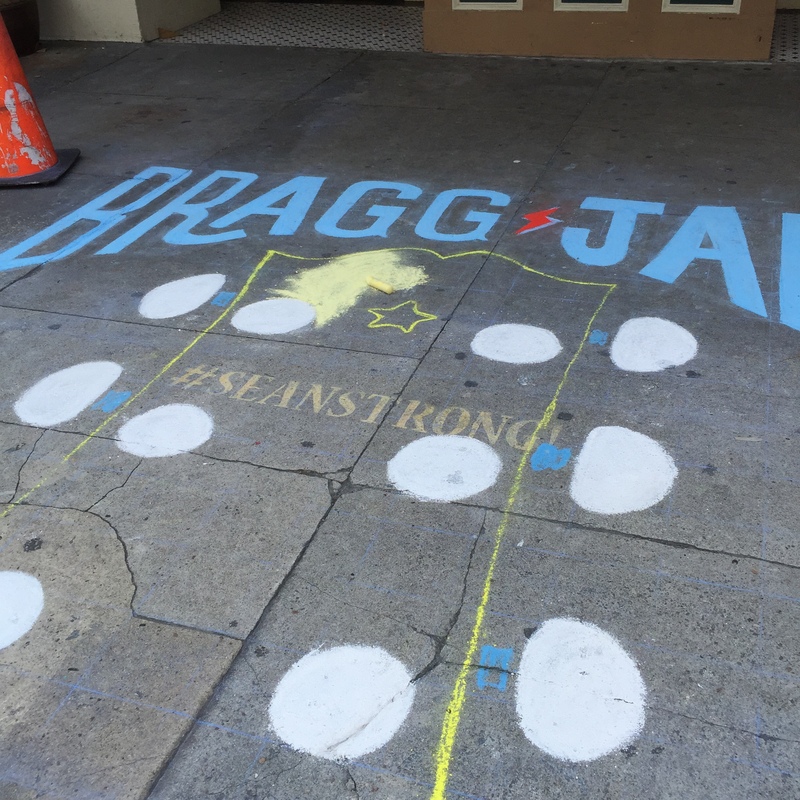 BraggJam logos Jessi designed. 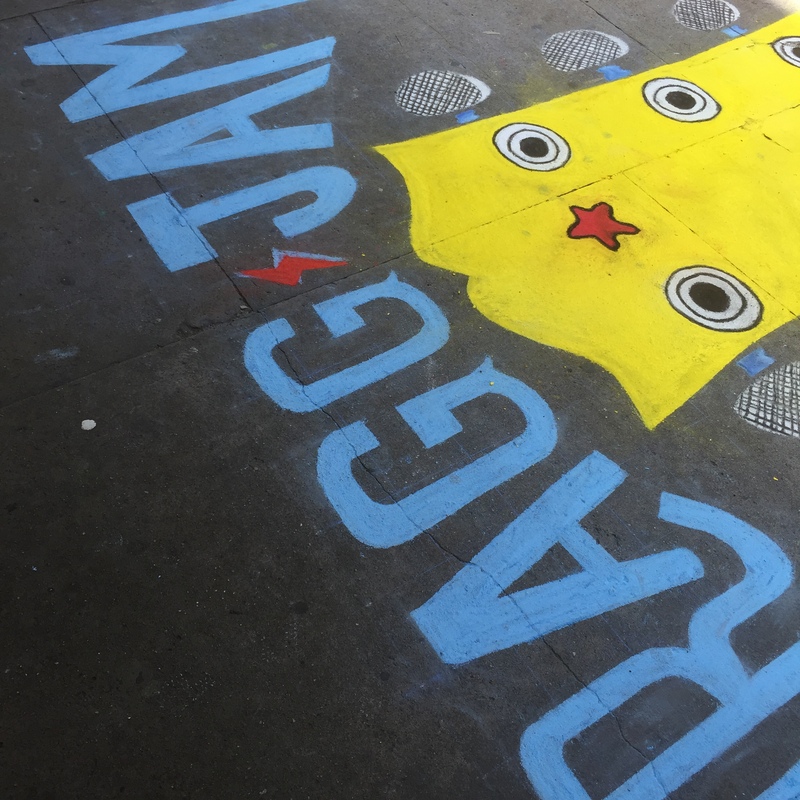 The festival chose the logo on the left. Zach fills in the words using a lightly chalked grid.